Left side of a tranquil forest scene. May be purchased singly. 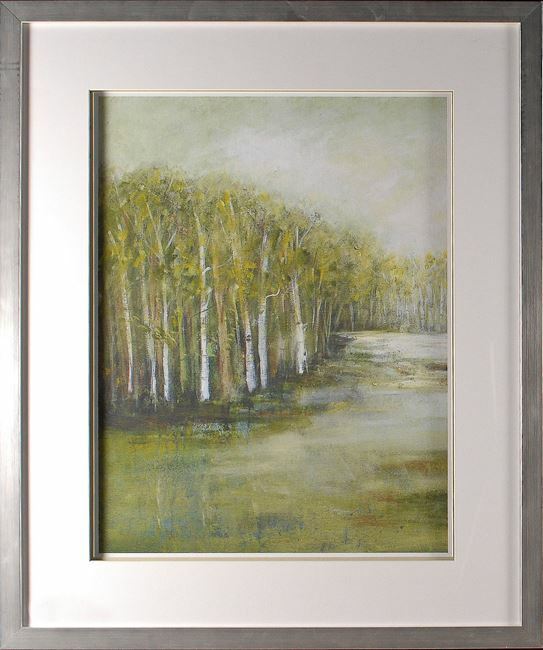 A tranquil forest scene of soft greens and golds may be used singly or shown as a diptych together . Raised double matte and silver contemporary frame.